Communication protocols generally rely on the existence of very long multihop paths to reach distant nodes. They disregard, however, how often such paths indeed occur, and how long they persist, especially in highly dynamic mobile networks. 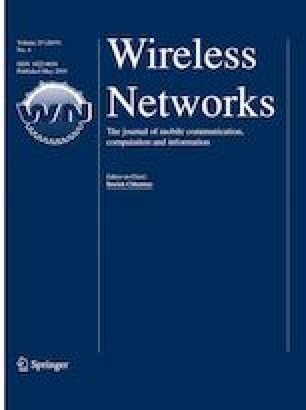 In this direction, this paper evaluates quantitatively the influence of node relative speed on path establishment and maintenance, using real and synthetic vehicular network traces. We propose a methodology for vehicular network analysis where both relative speeds and hop distances are used as parameters to characterize node vicinity. Results show that contact opportunities highly depend on the relative speed and the hop distance between nodes. In sparser scenarios, the number of contacts between nodes separated by more than 3 hops or even between neighbors with relative speed above 40 km/h is negligible. This confirms the intuition that contacts at lower relative speeds and at few hop distances happen more often. In addition, contacts last longer as the number of hops between nodes decreases. Nevertheless, we can still find multihop paths able to transmit messages at high relative speeds, even though less often. We also demonstrate that relative speeds reduce the number of useful contacts more severely when compared to the hop distance. For last, we show that it is possible to increase the number of successful packet transmissions by simply applying the outcomes of this work, without any sophisticated model, avoiding the waste of resources, such as energy and bandwidth. The authors would like to thank CAPES, CNPq, and FAPERJ for their support. Piorkowski, M., Sarafijanovic-Djukic, N., & Grossglauser, M. (2009). CRAWDAD data set epfl/mobility (v. 2009-02-24). [Online]. Available Jan, 2017 http://crawdad.org/epfl/mobility/. Jetcheva, J. G., Hu, Y. C., PalChaudhuri, S., Saha, A. K., & Johnson, D. B. (2003). CRAWDAD data set rice/ad_hoc_city (v. 2003-09-11). [Online]. Available Jan, 2017 http://crawdad.org/rice/ad_hoc_city/.